9/25/2018 ~ The complexity of a foreclosure can be petrifying. It can, almost literally, freeze defendants into inaction, or, it can shiver defendants so profoundly they no longer feel any sense security and fall sick. However, not recognizing the complexity of a foreclosure, or an appeal in a foreclosure, can be fatal to a defendant’s hope of winning against the plaintiff bank. In my case I am moving for a rehearing after the Court of Appeals affirmed on its Summary Calendar the trial court’s foreclosure judgment. 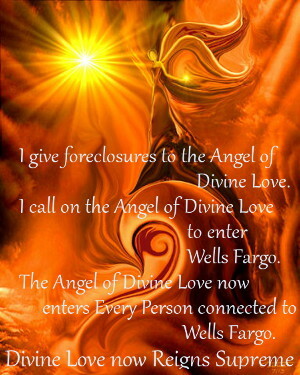 The issues, lack of service causing lack of personal jurisdiction, Wells Fargo’s lack of standing (except the Court of Appeals has fastened on my use of the word “at” when apparently “as of” has the proper meaning), and Wells Fargo switching from one UCC category of persons entitled to enforce a promissory note, to another, are swirling around in my head. The complexity has me on the verge of babble rather than a cogent expression of unifying thoughts. The fact the Court of Appeals appears to have a very different view of Deutsche v Johnston, 369 P.3d 1046 (2016), than I have, doesn’t help. I am sure my view is the more accurate based on the fact Deutsche bank argued strenuously against the New Mexico Supreme Court taking the view I think it’s taken. If the Court of Appeal’s view had been taken, then Deutsche would have basically had what it wanted and there would have been no need to argue. But, how to write it all in an easy flow so that what I’m saying is comprehensible, and beyond that, persuasive. In its Memorandum Opinion the Court of Appeals wrote, “we are not persuaded.” It is my job to find the light in the complexity and turn the Court of Appeals opinion around. Happily, the Collective Conscious has been helping. People on Twitter are showing me perspectives that I missed. Even more importantly, people are helping me believe that my appeal can be won, that I can beat Wells Fargo. How so? They support me and understand the problems, many on a very personal level. Artwork Credit: The artwork above, as well as many other pieces, can be found at Primal Painter for very reasonable prices. Very.